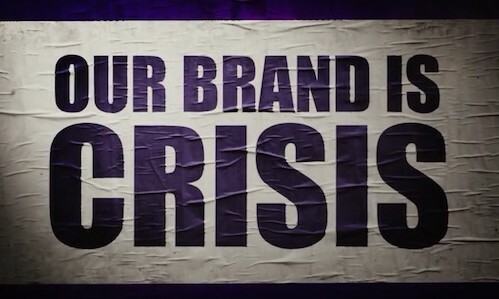 When I saw the trailers for Our Brand is Crisis, I had very mixed thoughts. It looked interesting but something was missing. I probably wouldn’t have gone out of my way to see it, but I’ve already had a lot of people ask me if I was planning to see it. So this review is for you curious folks. Sandra Bullock stars as “Calamity” Jane, a former campaign manager who has secluded herself away from society after several substantial losses. She is brought back to civilization when she is needed to run a campaign for the Bolivian presidency, for a candidate that has very little chance of winning (Joaquim de Almeida). Once there, she discovers that the opponent has hired her arch-nemesis (Billy Bob Thornton). Also in the mix, we have Anthony Mackie, Scoot McNairy, and relative newcomer Reynaldo Pacheco. It seems like every other movie coming out is based on a true story. 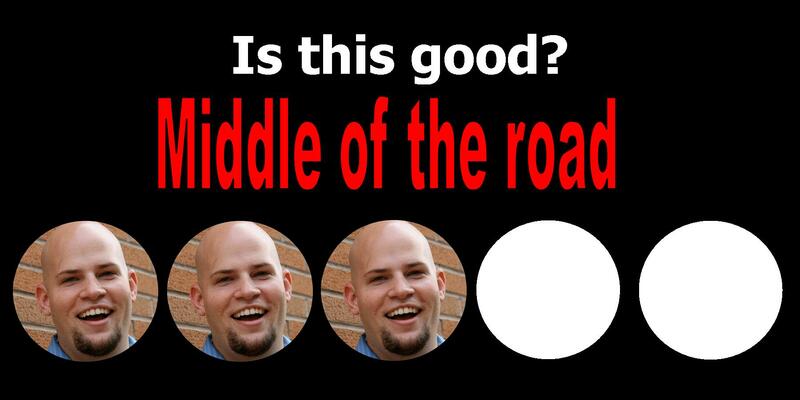 This one benefits from most audience members not knowing how it turns out, so there’s quite a bit of suspense. The story is gripping and compelling as it goes on, though somewhat predictable. In terms of talent, Bullock is great as the lead character, though the character herself is unlikable for most of the movie. It’s hard to have a movie without a compelling lead, instead we’re given almost two antagonists. Billy Bob Thornton is the much more dynamic and interesting character, stealing every scene he’s in. He’s despicable but it becomes much more shades of gray as the movie progresses. 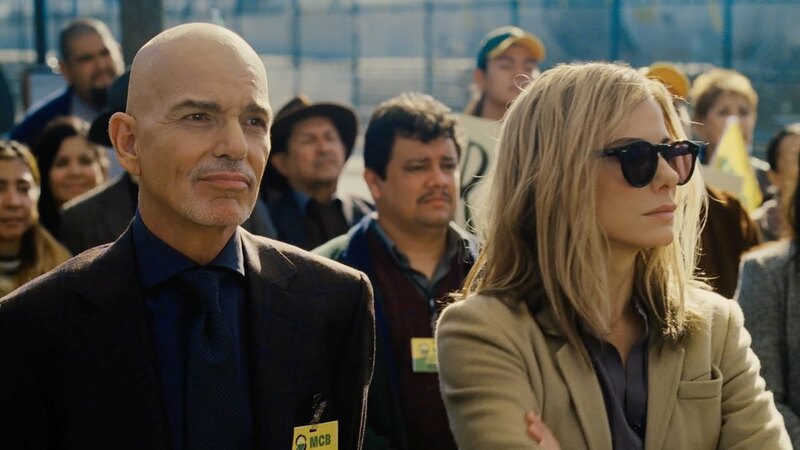 The supporting cast is also pretty great, including a solid performance from Anthony Mackie, some great one-liners from Scoot McNairy, and a surprisingly refreshing performance from Bolivian newcomer Reynaldo Pacheco, who plays a young man who volunteers for the campaign. While the talent is great, something feels missing. I almost want to say “energy.” Bullock’s character is slow and whiny and doesn’t really give any sort of emotion until after the first 1/3 of the movie. It’s not until Thornton arrives, that she starts giving a decent performance. Maybe that’s intentional? If so, that’s poor planning. I also think something is missing from the exposition. The whole story revolves around some outside bank or something trying to come into Bolivia and … do something. I’m sometimes very ignorant about world issues, but I assume most viewers might also be, so this movie could’ve benefited from some more explanation about this, especially as it becomes vitally important to the film’s climax. I didn’t really understand it. While it sounds like a cool series of true events, as a film it doesn’t really succeed. The talent is there but the plot progresses at a really slow rate yet can’t take the time to explain some of the basics, leaving the audience a little confused at times. Bullock delivers a great performance but her character is unlikable. The movie’s lack of energy overall had me disengaged until almost the halfway point. This entry was posted in Movies and tagged adam ryen daniels, anthony mackie, billy bob thornton, bolivia, bolivian election, i am your target demographic, iaytd, joaquim de almeida, movie review, movies, our brand is crisis, our brand is crisis movie, our brand is crisis movie review, politics, reynaldo pacheco, sandra bullock, scoot mcnairy. Bookmark the permalink.